While they seem like any other family from the outside, Stewart's* family is rarer than most. 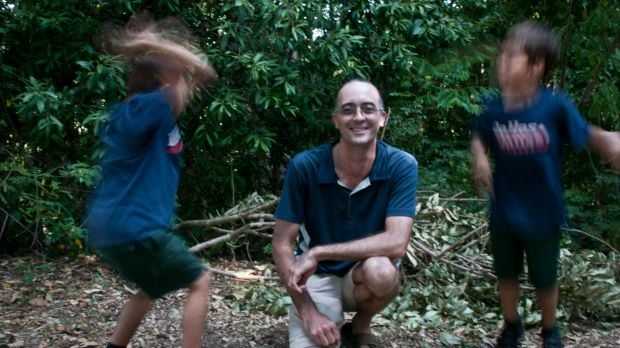 His two sons are adopted, and they were adopted locally – no mean feat, given there are only about 10 children put up for adoption in Queensland every year. The process for adopting his boys, aged eight and five, took the family five years; from health and background checks, interviews and, once approved, a wait to be matched with the right child. "It's quite a long-winded process," he said. Despite the bureaucratic hurdles, forms and interviews, the president of post-adoption resource centre Jigsaw Queensland, Trevor Jordan, said the process was necessarily complex. "It shouldn't be quick and easy because young people's lives and futures are at stake," Mr Jordan said. "It should be a very careful, fair, and just process for all those people concerned." Stewart, who is president of the Local Adoption Support Group, agreed but added that while adopting a child was "a long-winded process, it is quite rewarding". The process of becoming an adoptive parent to a local child can take years, if you become one at all – there are no guarantees you will be matched. Mr Jordan said not many children were up for adoption, because local adoption across Australia had been in decline since the 1970s. "That's partly because of the availability of contraception, and also the fact people have different attitudes towards forming family outside of traditional marriage," he said. Data shows there are about 20 local adoptions a year in Queensland. Half of those are step-parent adoptions, which means only nine or 10 children were adopted into new families every year. Stewart said given the number of families wanting to adopt, this meant a number of willing and able families would not get placed with children. "It's a very uncertain process. Even once you're selected, there's still no guarantee you'll end up with a child," Stewart said. It is similarly complicated to put a child up for adoption. Both parents must consent to the adoption, and the grandparents also have a say in whether they want the child removed from the family. Once the family signs the adoption consent forms, the child is placed with a special adoption foster care worker while the department works to find a suitable family – a process that can take up to a year. And for most families, this is just the start of a complicated but fulfilling relationship. Stewart's oldest son was adopted under the old legislation and has a closed adoption, so contact can only be made through the Adoption Service's Mailbox program – letters can be sent regularly to Adoption Services, who act as an intermediary between both families but ensure all identifying material is removed. His younger son, adopted after the 2009 legislation, has an open adoption. "It creates a really great way for birth families to be involved," he said of open adoption. His youngest son's birth parents have not enacted the open agreement yet, but Stewart said he feels positive about the future. "We're hopeful that at some point they will reach out and want to make some sort of connection. If it's done the right way it can create some really good connections for the children." The family currently use the Mailbox system for both sons. While the system works both ways in theory, Stewart said they have not had any response so far. "We work on the basis that we'll try to send stuff regularly in, but it can be hard when it's just a one-way conversation all the time." Stewart expects his sons to have more complex needs and questions as they entered their teenage years. While he doesn't know if it takes a special person to love another's child for life, Stewart said it was as rewarding as being any other parent. "We are all very proud of our children and who they are, and what they're growing up to be." *Stewart's surname has been withheld to protect the identity of his children.